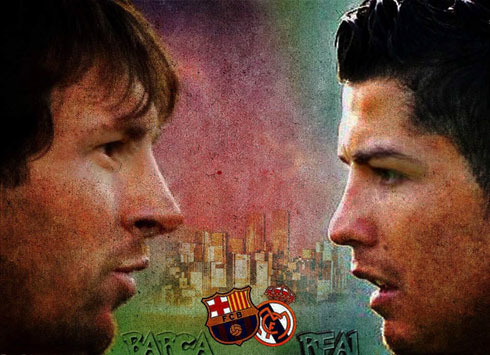 ﻿ Messi: "I'm not here to compete with Cristiano Ronaldo"
03.10.2014 » Messi: "I'm not here to compete with Cristiano Ronaldo"
How much longer will we have to bear the repetitive debate about Cristiano Ronaldo and Lionel Messi's rivalry, or all the arguing about which of them has been in fact the best player in the World in the past year? 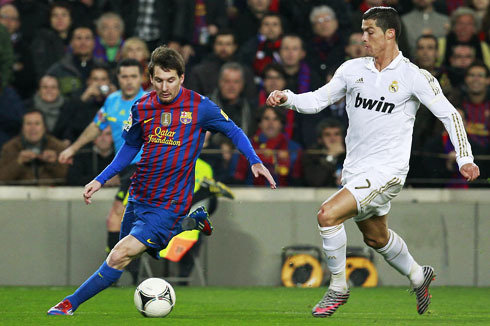 The discussion will certainly continue heating up in the next months, especially with the FIFA Ballon d'Or winner being announced on January 12 of 2015. In the meanwhile, Messi already came to public to make note that he has never intended to compete directly with Ronaldo and that his main focus is only to win titles with Barcelona. The Argentinian also spoke about his relationship with Neymar and why he believes that his teammate will end up becoming the best player in the World in a near future. During a promotional act for Gillette that took place in Barcelona earlier this week, Lionel Messi had the chance to briefly approach a few topics highly prone to generate some controversy around the whole football scene. 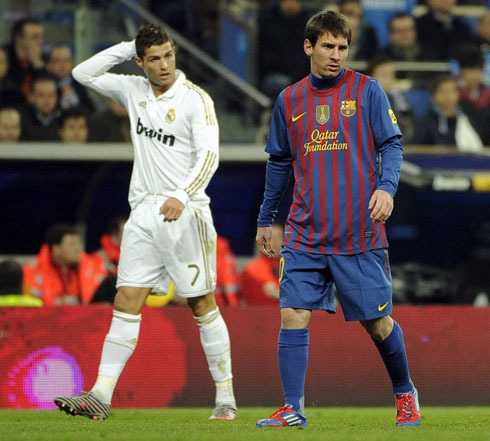 Inevitably, one of the questions popping up was about his much-talked rivalry against Cristiano Ronaldo, Real Madrid's star player. 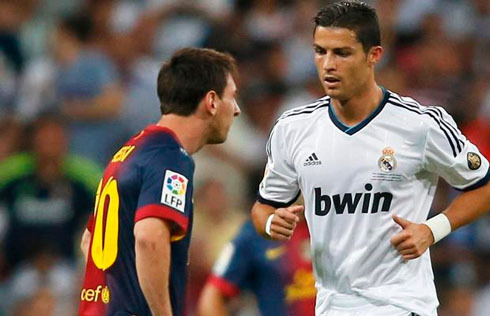 Lionel Messi: "I'm not competing with Cristiano Ronaldo. All I try to do is to do my work the best possible way and I never really matter about competing against anyone in particular. My main aim is to simply win more titles for FC Barcelona", started by commenting the 27-year old forward. 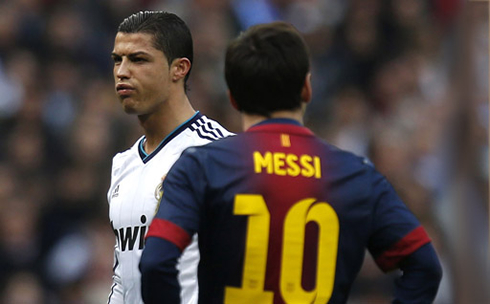 Messi: "Right now, I honestly don't know where I stand in terms of a "best player in the world" ranking. I don't even lose time thinking about it. I just want to continue my development as a football player and to keep doing my best for the club I represent...", stated the Argentina international. 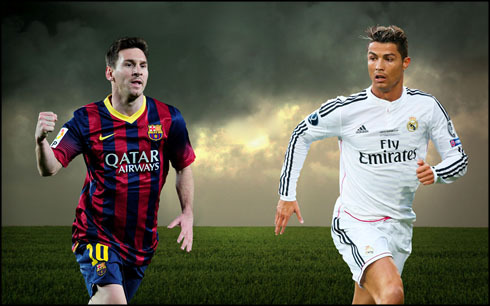 If, in one hand, Cristiano Ronaldo has undeniably benefited from Gareth Bale contribution on the pitch since the Welshman signed for Real Madrid at the end of last year's summer, it's also quite obvious now that Messi has more than enough reasons to be happy for Neymar to have joined him in that very same summer. 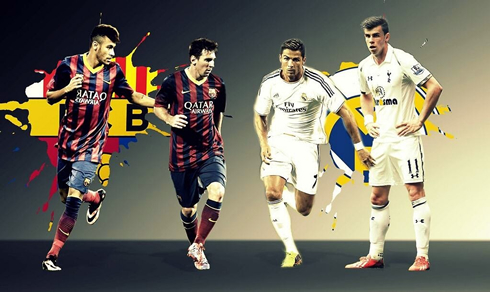 Lionel Messi: "We're now playing closer to each other than last year. 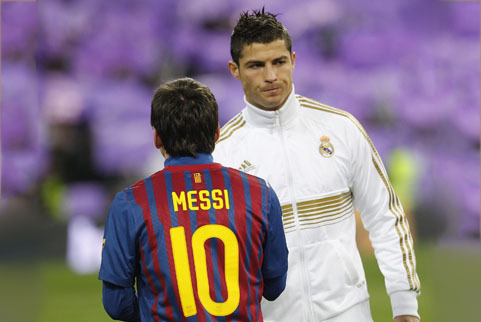 He's a very talented footballer and it's surely a great pleasure for me to be on the pitch next to him. We get along very well both on and off the pitch. I have nothing but great things to say about him..."
Messi: "Even though we never know what's really going to happen in football, my honest belief is that Neymar will end up becoming the best player in the World and in a very near future. He's incredibly gifted and he has all the conditions he needs to reach that level", revealed Barcelona's top scorer of all-time. In the meantime and ahead of this weekend's league action, Cristiano Ronaldo has been doing some running on his own and away from the rest of the group. The Portuguese star suffered a small knock in his achilles tendon last Wednesday against Ludogorets, which forced him to leave the field limping at the end of the game. Real Madrid will host Athletic Bilbao next Sunday and despite Ronaldo's current limitations, he is still expected to be fit in time to play in that game. Cristiano Ronaldo next game for Real Madrid is against Athletic Bilbao for the Spanish League, on October 5 (Sunday). You can watch Juventus live stream, Real Madrid vs Athletic Bilbao, Rayo Vallecano vs Barcelona, Aston Villa vs Manchester City, Chelsea vs Arsenal, and Bayern Munich vs Hannover 96, all matches provided from our soccer streams section.